Imagine launching your product tomorrow and generating $$$$$ sales in the very first hour of opening the cart. That’s what happens when you create an irresistible offer. 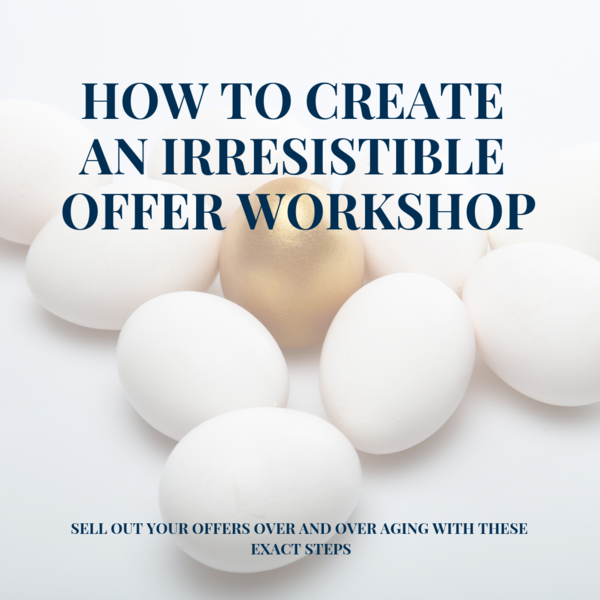 Create an offer that sells out over and over again, without you breaking a nail in the process! This has been amazing broken down very simple I am ready to jump in and build my irresistible offers! I will be working with 2 computers one with this replaying and the other working on the offer! You definitely over delivered. I feel super confident about writing out my offers. Being able to connect with the emotions and create the scenarios or pictures that I want my target audience to fall head over heels with. The value of this course outweighed what I paid 1000x over!